The Lo Nuestro Award for Pop New Artist of the Year is an honor presented annually by American network Univision. It was first awarded in 1989 and has been given annually since to recognize the most talented performers of Latin music. The nominees and winners were originally selected by a voting poll conducted among program directors of Spanish-language radio stations in the United States and also based on chart performance on Billboard Latin music charts, with the results being tabulated and certified by the accounting firm Deloitte. At the present time, the winners are selected by the audience through an online survey. The trophy awarded is shaped in the form of a treble clef. The award was first presented to French group Gipsy Kings. Kaoma won the following year, aided by their hit song "Lambada" which sold five-million units worldwide. American performer Christina Aguilera won both the Grammy Award for Best New Artist in 2000 and the Lo Nuestro for Pop New Artist the following year. 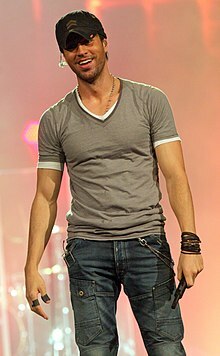 Spanish singer David Bisbal, winner in 2004, is the only performer also being awarded the Latin Grammy Award for Best New Artist; while 2008 nominee Alexander Acha also earned New Artist accolade at the 10th Latin Grammy Awards. Singer-songwriters Lena Burke, Alexandre Pires and Álex Ubago were nominated for New Artist of the Year as a solo performers and as the group Alex, Jorge y Lena and Só Pra Contrariar, respectively, losing on both instances. Enrique Iglesias, Jon Secada and Shakira won for Best New Artist at the Lo Nuestro Awards and also earned the Grammy Award for Best Latin Pop Album. American singer Jennifer Lopez and Canadian performer Nelly Furtado were previously nominees for a Lo Nuestro Award before being awarded. Lopez was up for Pop Female Artist of the Year in 2000, while Furtado was a nominee for Pop Group or Duo of the Year along Colombian singer-songwriter Juanes at the 2004 ceremony. Mexican actress Eiza González won in 2009 for her singing role in the TV series Lola...Érase una vez. Spanish singer Natalia Jimenez was previously awarded the Lo Nuestro Award for Pop Album of the Year as a part of the duo La 5ª Estación and in 2012 won for Best New Artist. In 2013 the Pop, Regional Mexican and Tropical Salsa New Artist of the Year categories were merged on a Lo Nuestro Award for Best New Artist category in the General Field. For the Lo Nuestro Awards of 2014, the Pop New Artist of the Year award was reinstated and merged again the following year. ^ a b c d "Ricky Martin, Shakira, Thalía, Ricardo Arjona, Pepe Aguilar Y Vicente Fernández entre las superestrellas nominadas para el Premio lo Nuestro 2004". Univision. Business Wire. January 14, 2004. Retrieved September 27, 2013. ^ Riding, Alan (July 4, 1990). "Brazilian Wonder Turns Out Bolivian". The New York Times. The New York Times Company. Retrieved October 25, 2013. ^ Mancini, Robert (February 23, 2000). "Santana Rolls On Grammy Night; TLC, Eminem, Aguilera Hit Gold". MTV. Viacom International. Retrieved October 25, 2013. ^ a b "Premios Lo Nuestro: Alfombra Roja: Lista completa de los ganadores de Premio Lo Nuestro 2001". Univision. Univision Communications. 2001. Archived from the original on October 13, 2013. Retrieved August 14, 2013. ^ Pareles, Jon (September 4, 2003). "Latin Grammys Go On Minus Cubans". The New York Times. The New York Times Company. Retrieved October 25, 2013. ^ "The 10th Annual Latin Grammy Awards: Scorecard". Los Angeles Times. Tribune Company. September 17, 2009. Retrieved October 23, 2013. ^ a b "Nominados al Premio Lo Nuestro 2006". People. Time, Inc. December 12, 2005. Retrieved September 27, 2013. ^ a b c "¿Quiénes se llevarán esta noche el Premio Lo Nuestro "99?". Panamá América (in Spanish). Grupo Epasa. May 6, 1999. Archived from the original on June 15, 2013. Retrieved June 15, 2013. ^ a b "Juan Luis Guerra, Enrique Iglesias y Camila, los más nominados a Premios lo nuestro". E! News (in Spanish). E! Entertainment Television, Inc. December 3, 2010. Retrieved September 27, 2013. Lannert, John (March 30, 1993). "Secada Lead Latin Noms Following Grammy Win". Billboard. Nielsen Business Media, Inc. 105 (10): 10. Retrieved January 3, 2013. ^ Gehr, Richard (February 23, 2000). "Joao Gilberto, Beenie Man, Shakira Win World, Reggae, Latin Grammys". MTV. Viacom International. Retrieved February 22, 2001. ^ "Eiza Gonzalez". People. Time, Inc. Archived from the original on October 30, 2013. Retrieved October 26, 2013. ^ a b "Aventura is Biggest Winner of Premio Lo Nuestro 2010; King of Bachata Group Wins Five Awards, Including the First Ever Entertainer of the Year Award". Univision. Business Wire. February 19, 2010. Retrieved September 27, 2013. ^ a b "Ganadores de Premio Lo Nuestro 2012". Univision. Univision Communications. February 16, 2012. Retrieved September 27, 2013. ^ Quintana, Carlos (2014). "2014 Premio Lo Nuestro Finalists". About. The New York Times Company. Retrieved December 10, 2013. ^ "Premio Lo Nuestro 2015: La lista completa de nominados". People (in Spanish). Time Inc. December 2, 2014. Retrieved December 2, 2014. ^ "Lo Nuestro 1989 – Historia". Univision (in Spanish). Univision Communications. 1989. Archived from the original on October 17, 2013. Retrieved September 9, 2013. ^ Coto, Juan Carlos (May 28, 1989). "Univision Launches Latin Music Awards". The Miami Herald. The McClatchy Company. (Subscription required (help)). ^ "Lo Nuestro 1990 – Historia". Univision (in Spanish). Univision Communications. 1990. Archived from the original on October 15, 2013. Retrieved September 4, 2013. ^ Houston Chronicle News Services (March 29, 1990). "Latin Music Awards - 3 Houston acts earn nominations". Houston Chronicle. Hearst Corporation. (Subscription required (help)). Lannert, John (November 28, 1998). "Ana Gabriel Captures 4 Latin Awards". Billboard. Nielsen Business Media, Inc. 104 (22): 10. Retrieved August 21, 2013. ^ "Ana Gabriel leads nominees for Latin Music Awards". Billboard. Nielsen Business Media, Inc. 104 (13). March 28, 1992. (Subscription required (help)). ^ Burr, Ramiro (May 1, 1994). "Guerra top awards nominees". San Antonio Express-News. Hearst Corporation. (Subscription required (help)). ^ Burr, Ramiro (May 7, 1995). "Tejano artists in line for national honors". San Antonio Express-News. Hearst Corporation. (Subscription required (help)). ^ Barquero, Christopher (1998). "Premios Lo Nuestro: Los galardones a la música latina serán entregados en mayo próximo|". La Nación (in Spanish). Grupo Nación GN, S.A. Archived from the original on June 15, 2013. Retrieved June 14, 2013. ^ Anchea, Maximo (April 27, 2000). "El 5 de mayo entregan Premio Lo Nuestro a Musica Latina en Miami". El Nuevo Hudson (in Spanish). Advance Publications. (Subscription required (help)). ^ "Todos los ganadores Premios Lo Nuestro". Terra Networks (in Spanish). Telefónica. February 22, 2008. Retrieved September 27, 2013.